Our Pentangle Paperweight boasts an array of facets that display with elegance. 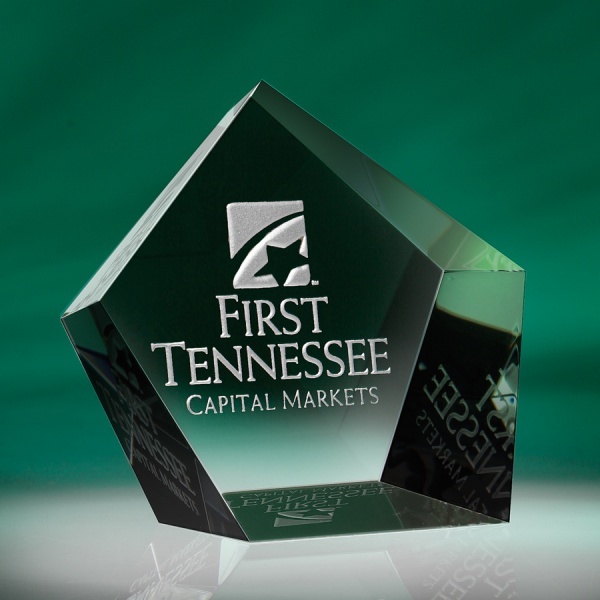 Made of optic crystal, this sparkling gift stands upright assuring your message won't get lost in the clutter. Custom gift box included.